From the moment one enters the Brauhaus, the senses are assailed by a rich mixture of traditional Bavarian oompah music (played live by a seven-piece band throughout the day), beautifully coloured décor, the aroma of Bavarian cuisine and of course – our freshly brewed Biers – made but once a year for the occassion. Founding partner South African Breweries have once more called upon their Master Brewers to craft three special, limited edition Bavarian-styled biers just for Bierfest. The ever-popular Royal Bavaria Oktoberfest Bier, the traditional Krystal Weiss Protea Edelweiss and the speciality dark ale – the King Ludwig Munich Dunkel will all be making their appearance at Bierfest once again. Master Brewers will be located onsite for tasting and beer education at Bierfest’s Braumeister Ecke – a.k.a Brewmasters’ Corner. Frauleins in traditional attire will once again greet you with smiles as you are escorted to your pre-booked table and thereafter ensuring that your Bierfest experience is nothing short of magical. More than just a beer festival, Bierfest places great care and consideration in its meal choices for hungry Bierfestarians! Once again, the Bierfest menu caters to all tastes, from the succulent eisbeins to healthy vegetarian options and delectable platters (available only on a pre-book basis). Pre-Order your Bierfest food platter online and your Fraulein will deliver it directly to your table! As in previous years, Bierfest is a cash-free event. All food and drink purchases at the festival are made using Bierfest “Crowns.” Crowns are available in denominations of R25 and are sold in packs of five (non-refundable). 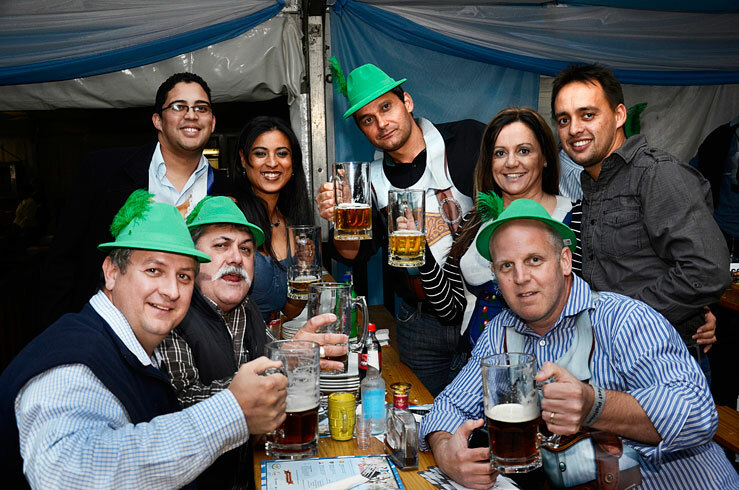 From the moment you are seated until the moment your tired legs take you to one of the numerous awaiting taxi, shuttle and chauffeur service options available, Bierfest is the one event you will attend this year that will have you longing to be back next year too! Value for money, and every moment an entertainment extravaganza, Bierfest will rock you! ARA #DrinkSmart Program presented by Redline, Bierfest’s responsible consumption program, offers visitors a number of alternative transport options. Spearheaded by TOPS at SPAR’s groundbreaking mobile phone app DRYVER, with support from Good Fella’s, Uber, Redline Breathalysers and JIGUJA detox drink, #DrinkSmart provides Bierfest patrons with a range of safe and affordable choices to drink responsibly and get home safely. Rehydration stations and a Designated Driver Rewards Program, Good Fellas memberships and preferred rates with Mozzie Cabs and UBER has seen Bierfest’s #DrinkSmart initiative be officially endorsed by the Industry Association for Responsible Alcohol Use (the ARA). Visit www.bierfest.co.za/noregrets for more info. • Ze Braumeister! R906.30 per person. Includes: premium traditional Bavarian Meal, Dedicated Fraulein to your table, Complimentary Premium bar (Limited), Complimentary can of JIGUJA Detox Drink, VIP reserved seating, Premium costume accessories, ze complimentary 1L Bierfest stein (1 per person), Parking, Glamcam Photo. • Ze Brauhaus! Only R450.30 per person. Includes: Traditional Bavarian Meal, Complimentary Bar (Limited), Complimentary can of JIGUJA Detox Drink, Costume accessories, Glamcam Photo. • Über Bier Hall Ticket: Only R195 per person includes 1 x 500ml bier, a can of Jiguja, a dress-up item and more. • Standard Bier Hall Ticket: only R125 per person includes entrance to the event, along with a complimentary bier tasting. 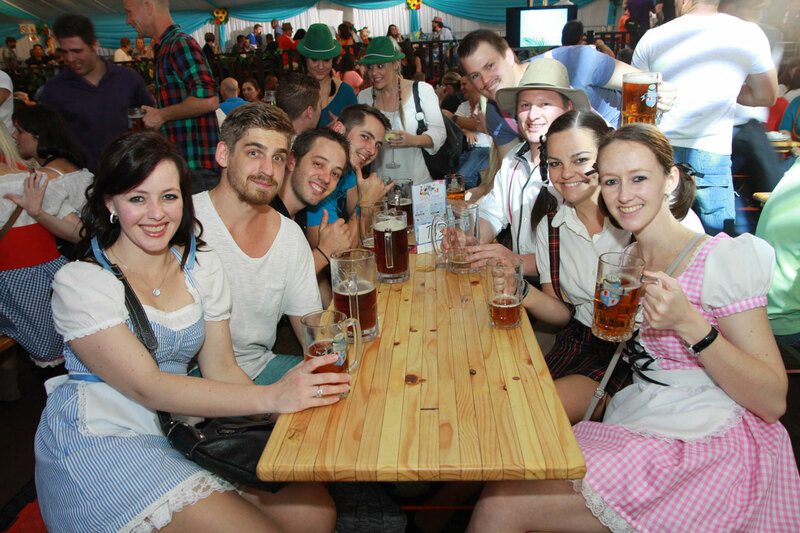 All tickets can be booked through the Bierfest website www.bierfest.co.za or through Bierfest’s Facebook page; SABierfest. Tag your friends on Facebook to stand a chance of winning a VIP table for you and 5 friends. Competition opens on 26 August 2014 and closes at midday on 12 September 2014, South African Standard Time. Winner/s will be randomly drawn on 12 September 2014. Durbanite reserves the right to change the draw date. Winner/s will be notified via facebook and are required to confirm receipt within 24 hour of notification or redraw will take place.